According to statistics, the average residential square footage per occupant in Paris is 31 meters, or 333 feet. When I first arrived in Paris as a student, I had already spent two years in a 129 square-foot unit in a student residence in Brittany, and was yearning for a little more space and a little less isolation. I decided to look for a two-bedroom apartment to share with my older sister and a platonic male friend. Two-bedroom apartments seemed to be the most common housing types available for rent in Paris—there were plenty of them in the flat advertisements section of Le Figaro, which was the main research tool for Parisian real estate at the time. 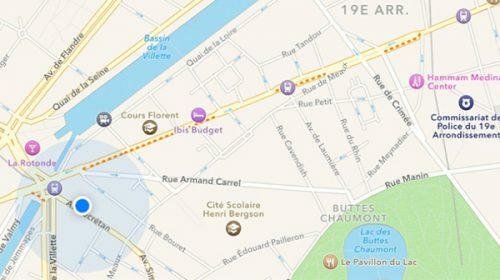 Without any particular difficulty that I remember (but of course with the enforceable guarantee of our parents’ names on the lease), we found an affordable 860 square foot flat in the 15th arrondissement. It was located on the ground floor of a newish building, and the living room had windows that opened onto a lawn-filled courtyard. I picked that room for myself, while my roommates settled in the two bedrooms on the street side. My almost-first decision as an adult was to adopt a cat, which my parents had always refused to do, despite my supplications. I decided on a tri-colored female companion, named her “Liouba” after Chekhov, and unscrewed the venting grid of the bathroom so that she could come and go as she pleased, granting her the freedom I was craving for myself. The average residential square footage per occupant in Paris is 31 meters, or 333 feet. 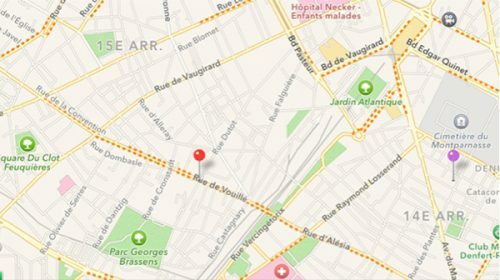 I hated the 15th arrondissement. It took forever to go anywhere else in Paris, and the two nearest Métro stations, namely Plaisance and Convention, were already a ten minute walk along a very boring street, Rue de Vouillé, which changes name to become Rue de la Convention on one end and Rue d’Alesia on the other end, only to try to make people forget that it goes on for miles and miles, with nothing worth seeing on either side. 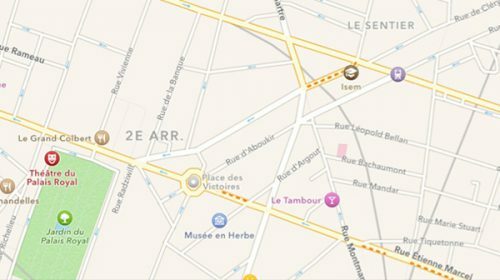 The only place of interest in that area that I can think of is the Lost and Found Office located Rue des Morillons, which is where all the umbrellas and gloves forgotten in Parisian cabs and subways go—though I’m not sure about the wallets. Except if you’ve lost one of those things or if you live there, I can’t see any good reason to ever set foot in the 15th arrondissement, which is why I haven’t done so in the twenty-something years since I moved out of this first flat, with my cat and one of the kittens she soon inevitably had, a result of one of her nocturnal expeditions. 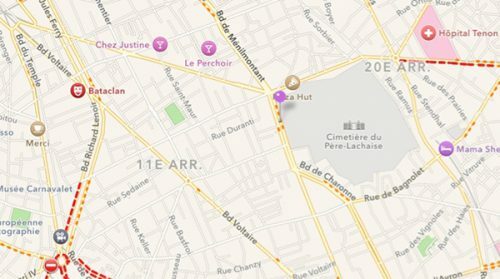 After a brief stop in the 13th arrondissement, which I hated as much as the 15th, I moved in another two-bedroom apartment that I shared with two fellow students, in the 11th arrondissement, right across the street from the Père Lachaise. The Père Lachaise, despite being a cemetery, is a lovely place to spend afternoons and read, among the shadows of Proust and Balzac. At dawn, it is crowded with hundreds of wild hungry cats that old women come to feed. My apartment, unfortunately, was located on the fourth floor and therefore, my cat couldn’t join them. Brutally deprived of her nocturnal explorations, she rapidly went crazy. Following the example of her kitten who, being light as a feather, was able to climb gracefully on the jute-covered walls of my bedroom, she started to jump everywhere, ripping the fabric off the walls and consistently destroying the place until I had to part with her and give her up for adoption to friends of friends who lived in a house in the suburbs. I didn’t hear much about her after that and my guess is that she soon died after being run over by a car, but I don’t want to know. At the end of that year, I was admitted into an acting course of the prestigious Conservatoire de Paris and moved again into a two-bedroom apartment in the garment district known as Le Sentier, in the 2nd arrondissement, 5 minutes away from the Conservatoire. I loved that area. I spent hours walking around, from the Rue Montorgueil to the Palais-Royal and the Place des Victoires. My two roommates were aspiring actors like myself, one of them being my boyfriend, which meant that for the first time in years, we had a living-room to share instead of it being used as a third bedroom—and the boyfriend somehow managed to compensate for the lack of cats, as far as cuddles were concerned. I spent some very happy years there, until I got married and we decided to have babies. 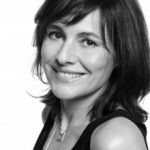 The prices weren’t as crazy as they are now and, baffled, we realized that we could actually afford to buy an apartment—albeit of course, not in the 2nd arrondissement—instead of giving away the money for rent every month. I was determined to stay in a somewhat central district of Paris and didn’t want to hear about the 18th, 19th or 20th arrondissements. Neither was I ready, obviously, to consider the 13th or 15th. So we concentrated our search on the 10th, which was the only affordable one among those “somewhat central” districts. One morning, the real estate agent woke me up—I had spent the previous evening shooting a night car scene in a TV movie—to visit a two-bedroom apartment in the 19th and I impatiently hung up on him. I had visited a friend there once, and to me it was an ugly, dangerous area. He insisted: “Have you ever been to the Marché Secrétan?” and I lied shamelessly that of course I had been to the historic indoor marketplace. After ending the conversation, I couldn’t go back to sleep and, feeling bad, called him back. He convinced me to come later in the day and have a look. I fell in love with the apartment immediately—it was much bigger than anything we had seen so far—775 square feet—and the neighborhood, just this side of the Place de la Bataille-de-Stalingrad, was lovely. The beautiful Parc des Buttes-Chaumont was nearby, as well as the Canal Saint-Martin, and the place was filled with families with young children like us. Soon after we moved in, my daughter was born, and we made a lot of new friends among the other parents we met in our building or at the day-care center, and we were happily thinking about having another baby. The news came as a stroke of thunder: I was expecting twins. Sure, it was possible that we could stay in this flat for a few more years, but our space per habitant would be a mere 160 feet—far under the average—and we knew the place would soon feel crowded. On the other hand, spacious, “family-style” apartments were mostly to be found in “bourgeois” neighborhoods of Paris, which were all much too expensive for us, with the exception of some parts of the 16th arrondissement where we wouldn’t want to live anyway. After a lot of research, we found a tiny three-bedroom apartment in the 9th, which was a district I liked, but after the visit, I looked at the narrow pavements, and tried to picture myself pushing my double stroller there, heading towards the only tiny green space of the arrondissement, the Square Montholon, and I gave up. I was growing desperate, when one morning while I was closing my door, I met my neighbour doing the same. Going down the stairs together, she told me that they were moving to Lyon, and putting their apartment up for sale. It was the quickest real estate deal of all time. By the time we reached the front hall, I had asked her how much they wanted for it and begged her to give me one day before dealing with a real estate agent. I called my bank, and with our parents’ help, we were able to make an offer that our neighbors accepted. With no money left to get any interior work done, we kept the two two-bedrooms apartments for quite a while as they were, with two kitchens and two electric and heating systems and two entrance doors, having only torn down the wall in between. Years later, we have a single apartment now. Being five people in a 1,668 square foot apartment has put us at the exact average space per occupant in Paris and yet we feel we’re extremely lucky. The area has improved a lot and the Place Stalingrad has become a trendy area. Cinemas and cafés have cropped up around le Bassin de la Villette, the Parc des Buttes Chaumont is still the most beautiful park in Paris, and my children have started to ask for a cat. Since we have space, we got one. He’s a male, half-Siamese and beautiful, we named him Bashung, after the French singer, and although he never goes out, he’s very quiet and seems very happy. When the children go away, our apartment will become too big for us alone, but people have already warned us: in order to sell it, we will have to revert it to two two-bedrooms apartments. That’s what most people in Paris are looking for. 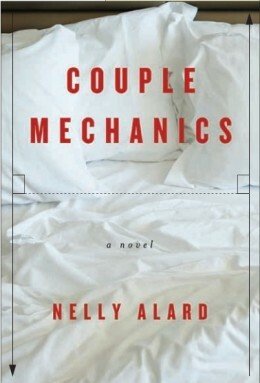 Nelly’s latest book, Couple Mechanics, is a story of a woman who decides to fight for her marriage after her husband confesses to an affair with a notable politician. Image credits: Courtesy of the author, ilolab/Shutterstock.com, Cher KFM/Shutterstock.com.